The importance of Intermodal rail operations within the global supply chain has never been more apparent. 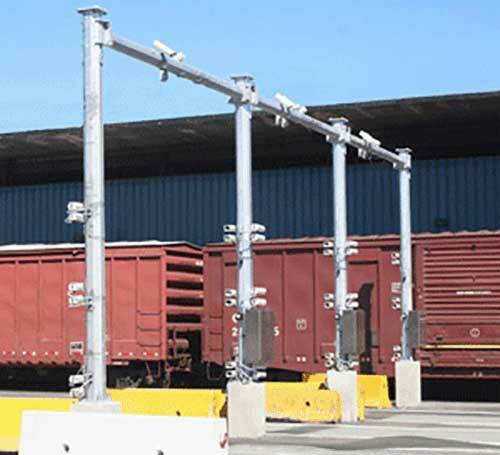 Leveraging the tracking technology solutions implemented by most North American Class 1 railroads, shipping companies like UPS and FedEx have recently begun to utilize intermodal transport options (versus truck or air options) in an effort to lower the costs to their customer. This is creating a spike in traffic for the railroads and the marine container terminals across the country. Our system, deployed currently for clients like Evergreen, Hanjin, MTC, and the Alameda Corridor Transportation Authority, is helping to handle this recent growth using proven automation systems to improve productivity and keep operating costs low. Using trackside AEI readers, high-resolution CCTV cameras and OCR software, the system identifies, tracks and archives the image and equipment number information of a passing train. This data is collected and combine to produce fully automated container to railcar association and eliminate the need to manually perform train inventories or Track Standing Orders (TSO). In addition, the system can capture damage inspection images to enable verification of equipment condition and damage during arrival and departure.